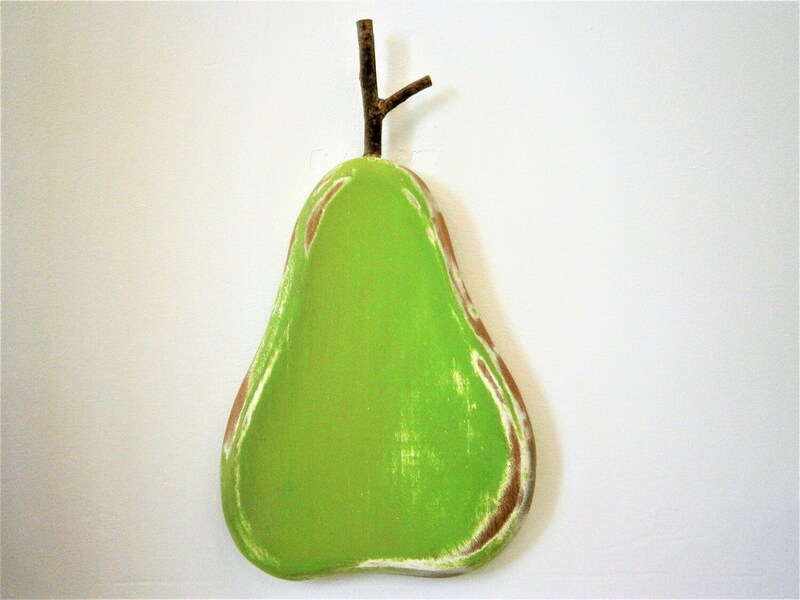 Lime Painted Wood Pear - Wall Art/Reclaimed Pear with a Shabby Chic/Rustic distressed finish/Home Decor/Rustic Decor/Shabby Chic. 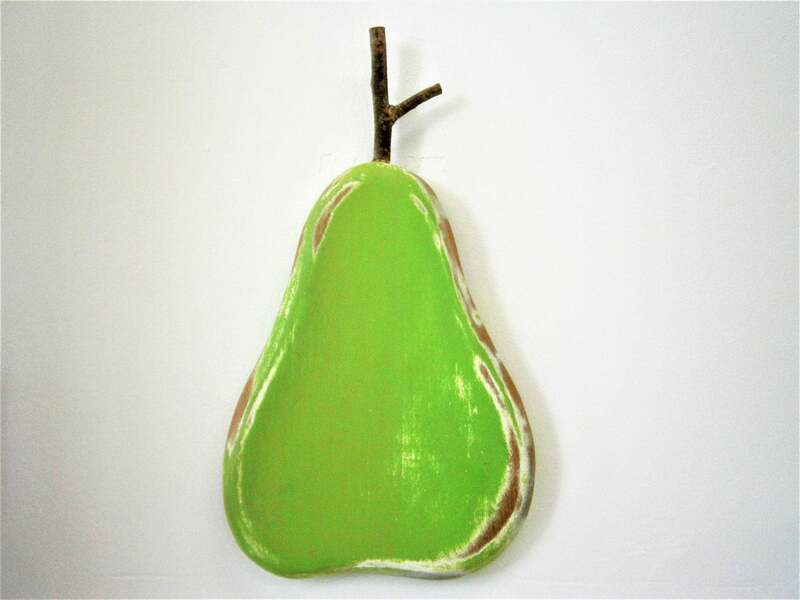 Reclaimed Wood Pear - Painted Lime with touches of white, and given a Shabby Chic/Rustic distressed finish. Size: 170mm Wide x 230mm Height (excluding twig), 22mm Thickness. 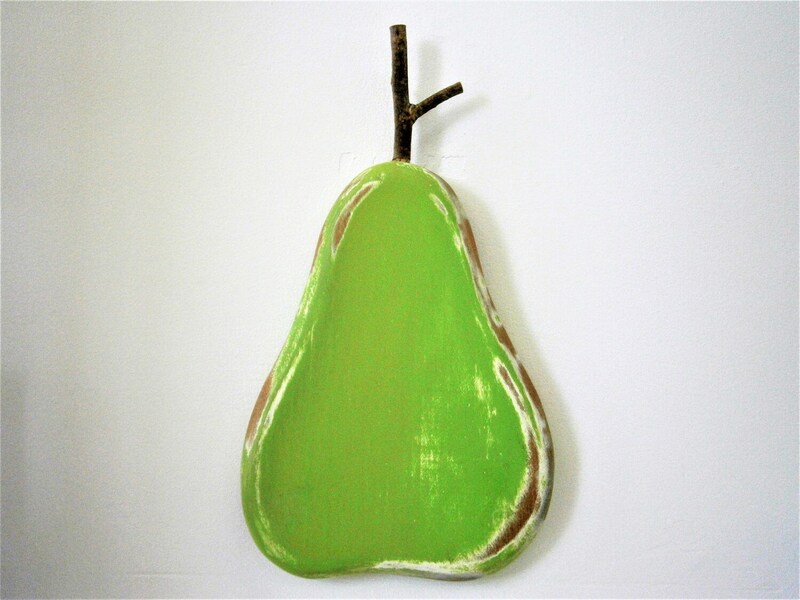 The pear also has a Twig on top of it, the size of this can vary. (Reclaimed wood used is either Rimu or Oak). We also do custom orders, if there is a particular color you would like your item please don't hesitate to contact us in regards to your requirements. 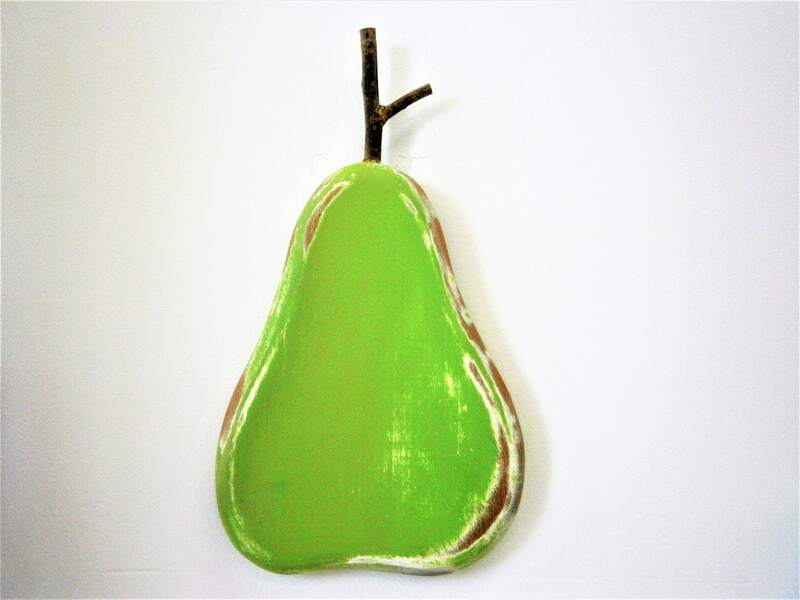 This item is handmade therefore there will be slight variations between items, however every effort will be made to make sure that the finished product is as close to the picture as possible.